Getting a kill can produce one of the greatest feelings while playing volleyball. Here are some tips on how to make that happen more often! Your approach is where it all starts. Start practicing your approach in your spare time, and work on making it quicker. The more you can do it (and do it quickly and efficiently) the less you'll have to think about it during a game. Being quick lets you use a lot of energy and momentum, because if you are moving slowly, a lot of that momentum is wasted. Typically, people use a three or four step approach. For right handed people, the three step approach starts with one big step with your left foot, then quickly followed by the right and the left coming together. For the four step approach, you just add one more big step to the beginning with your right foot. This is all opposite for left handed hitters, who would use right, left, right for their approach. Getting a big jump can really increase your chances of hitting the ball straight down. It also gives you more options, and a greater advantage over the other team. Doing exercises to increase your vertical can help tremendously! 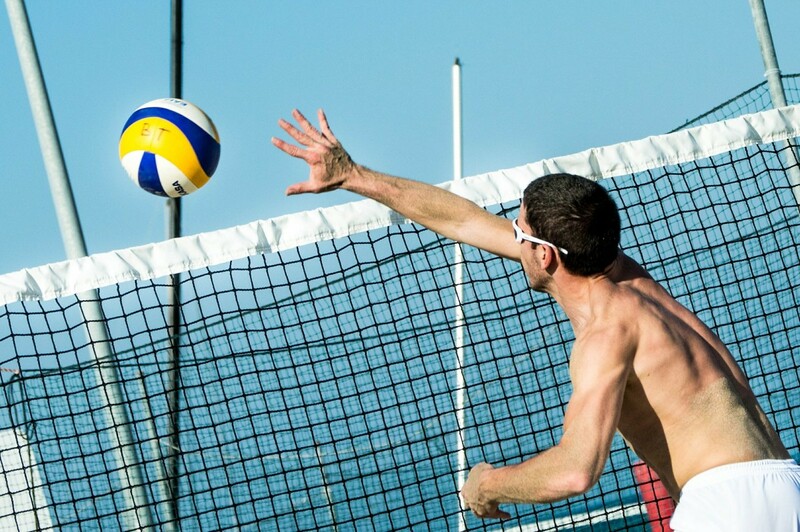 Check out the website of Barry Lovelace for personal volleyball training. Of all of the aspects of your approach, the arm swing is the most important in determining the outcome of your attack. Before you even jump, you need to be swinging you arms up to get maximum momentum carrying you upwards. Then pull your hitting arm back, like you would if you had a bow and arrow, with your hand wide open and your elbow pointing up towards the ceiling. This opens up your body posture and gets you ready to hit that ball! The main thing is to contact the ball right as it is within your reach. This gives you more power. Snapping your wrist is essential, and I would work on that before you focus on how hard you hit the ball. Following through really dictates the power that will come out of your swing. If you just pop the ball, it could still have some speed on it, but it likely won't be the earth-shaker that all attackers crave. Following through can also help direct the ball and get it to the open spots. Although it doesnt' seem like part of the approach, landing can be just as important. If you get blocked, you need to be ready to help out in the immediate defense. Being on balance is also important to lessen the chance of any injuries, and it keeps you out of the net. When you come down, make sure you bend your knees a lot to soften the blow of the court. This will help your knee health. 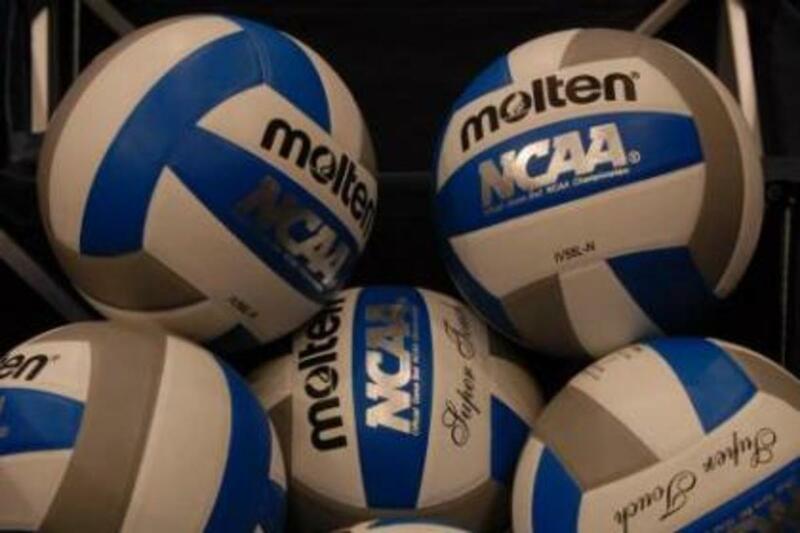 Volleyball is full of strategies. When it comes to attacking the ball, you should be aware of as many strategies as possible! Have someone help you scout out what's open on the other side. Is the left back being lazy to get to her position? Hit it where she should be! Are they double blocking the middle with their left front? Tip it to left front... no one's there! There are also ways of deceiving the other team with your body language. Go up and swing like normal, but use your follow through to guide the ball down line or along the net. Team's work on reading body language, so if you can beat them at that and keep them on their toes, they will get frustrated, giving you even more of an advantage! thanks, I like this game very much. As a layman everybody can enjoy volleyball than others. Everyone always thinks height means you can only play certain spots. But train for what you want and it doesn't matter how tall you are!